Thanks to our fully equipped laboratory and our qualified process engineers, we can offer feasibility studies on several laser applications such as laser marking, micromachining and microfabrication. As first step we discuss together with the customer to specify the main targets of the laser process. Then, once we receive the test samples from the customer, we make our internal studies that will produce a technical test report. We will send this report together with the processed samples back to the customer in order to have a feedback on the quality of the laser machining. We are pleased to receive our customers in our application laboratory in order to develop the laser process in tight collaboration with them. 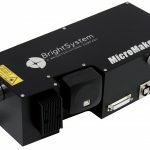 In this way we can demonstrate all our laser capabilities according to different optical setups and we can analyze what the most critical aspects of their specific application are. Our laboratory is equipped with several laser workstations for micro and macro machining processes. We are pleased to offer to our customers job shop services in order to produce small batches of samples according to customer requirements. After identifying the suitable laser source according to customer application, we can also provide technical advice and support on how to integrate the source into an industrial laser system. In particular we can provide an appropriate dimensioning of the optical setup required for the application (laser wavelength, pulse duration, scanning technique, focusing conditions, sample handling, mechanical and electrical interfacing). Our company can also offer qualified training on industrial laser systems: laser basic principles of functioning, laser-material interaction, laser interfacing with mechanical and electrical components, optimization of laser process parameters and after sales services at customer site.